"Comfort and Closure in your time of need"
At Heaven’s Own we specialise in relieving you and your family of the burden of organising a funeral. Our team will organise the delicate transportation of your loved one into our care as soon as possible. Arranging a funeral is a step by step process, made easier with the help of an experienced funeral director. Planning a funeral for your love one is an emotionally daunting task. You find it hard to accept the fact that your loved one is not more with you and has left for a better world. Making the funeral arrangements during such times will not be easy. If you need assistance, we are here to help you. 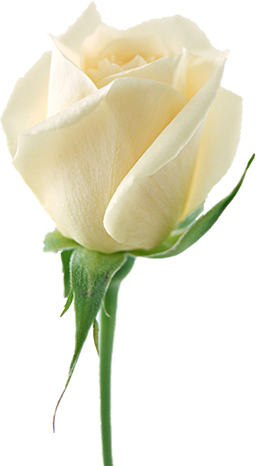 At Heaven’s Own, we have a team of compassionate and experienced funeral directors in Sydney who can plan the most dignified farewell for your loved one. We offer more than just funeral services; we stand by your side and help you overcome your emotional trauma. Being a highly experienced team, we offer end-to-end services. Our funeral directors are available 24 X 7, 365 days a year and would be able to plan your funeral within your budget and as per your guidelines. This is just an overview of what we offer. We have designed a few packages for your convenience. Please go through the details and choose the one that suits you. If you are on a very tight budget, choose our budget funeral services. Our funeral directors in Sydney are licensed professionals and are experienced in planning funerals for all religions and cultures. If you have faced such as situation for the first time and are not sure what to do, relax. Handle yourself and your family; we will do the rest. From the most religious and traditional funerals to the most quite ceremonies; we can plan your loved one’s farewell exactly the way you want. We will guide you throughout the proceedings so that you don't have to panic about what to do next. Once you have obtained the death certificate mentioning the medical cause of the death, we will start our work immediately. We will arrange a vehicle for safe and respectful transportation of the deceased. We will bring him/her into our care. We are trained funeral directors in Sydney who know how to perform embalming, dressing, cosmetizing, casketing, etc. We will able to take appropriate care of your loved one. Soon, our funeral directors will reach you to discuss about the proceedings. If you have something specific in mind, inform them or else ask them to suggest you the most respectful and dignified farewell. From initial consultation until the funeral is over; we will be your sole point of contact. We will arrangement everything that might be required for the funeral, thereby freeing you to handle other priorities of the situation. Our funeral directors also assist in preplanning a funeral. We will document your wishes thoroughly and will discuss all aspects with you well in advance. Be assured that your funeral will be planned as per your wishes. We understand that this will be an emotional discussion but our compassionate directors will make you feel comfortable.